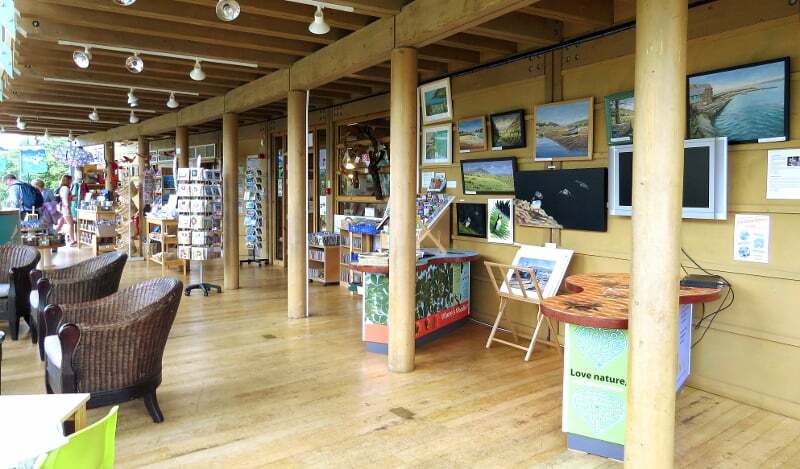 I’m thrilled to now have a selection of my original artworks and fine art prints permanently on display and for sale at the Welsh Wildlife Centre in Cilgerran, Pembrokeshire – you’ll discover local welsh landscape paintings as well as welsh wildlife paintings, including my recent Skomer puffin paintings. 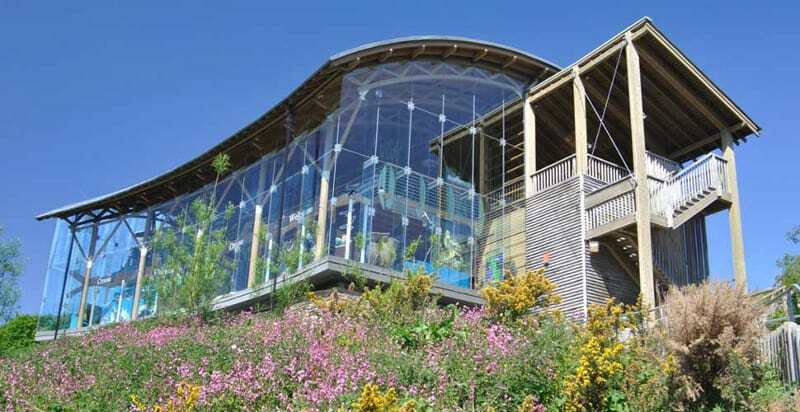 This stunning centre in the peaceful Teifi Marshes nature reserve is fantastic for seeing a wide range of wetland wildlife, including otters and kingfishers – Here is a recent video of a feeding otter taken from the kingfisher hide. 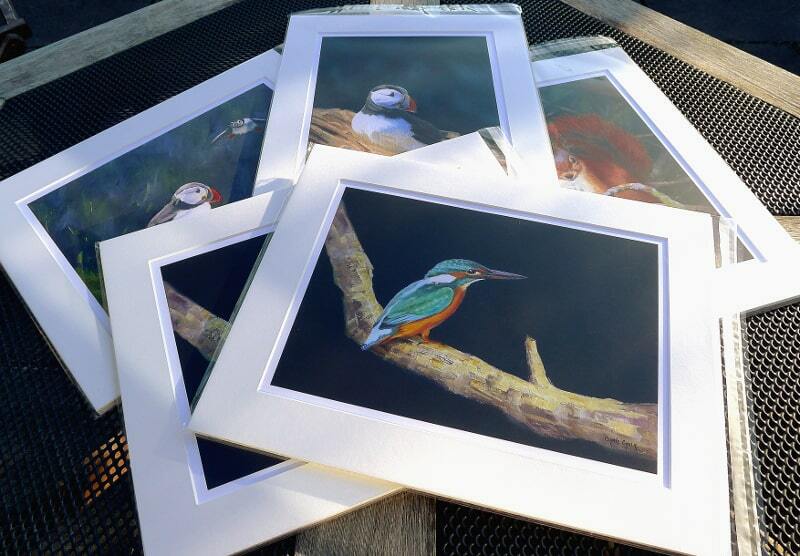 Selection of wildlife and landscape giclee prints available. The shop is full of unique gifts that would make ideal presents for someone special or remind you of your visit. The shop also has a range of products to help you to benefit the wildlife in your local area when you get home. You may have seen elsewhere on this website that I recently took a trip to Skomer Island off the coast of Pembrokeshire here is west Wales. Skomer is a magical place to visit, a haven for wildlife it is most well known for its puffins, yet there is so much more to see there. Whilst there we took lots of photographs of the puffin, in fact we took lots of photographs of just about everything, but puffin featured most heavily. Using these photos for reference I embarked on a series of puffin paintings as soon as I got back into my studio. These original oil paintings are on display and available at the wildlife centre shop and gallery, as well as being available on this website – See the puffin paintings in the wildlife gallery here. 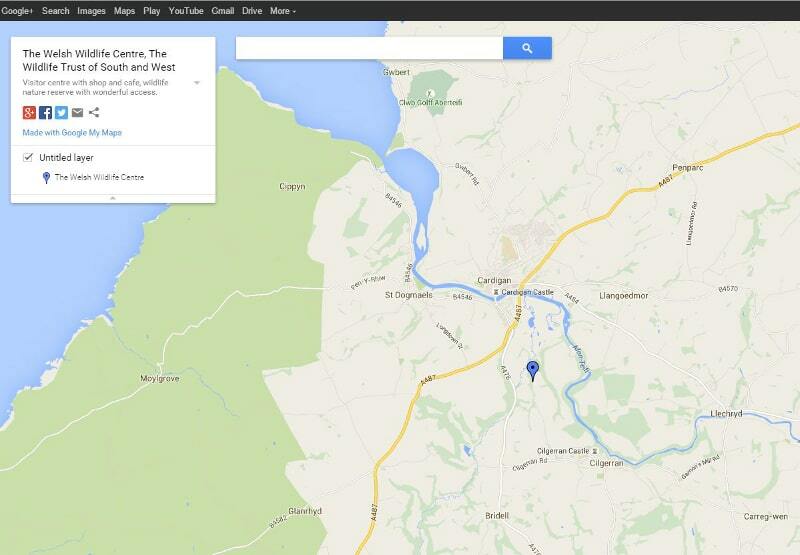 Welsh Wildlife Centre, Cardigan, Pembrokeshire, SA43 2TB.